A feeling of expectancy had grown among the people, who were beginning to think that John might be the Christ, so John declared before them all, ‘I baptise you with water, but someone is coming, someone who is more powerful than I am, and I am not fit to undo the strap of his sandals; he will baptise you with the Holy Spirit and fire. His winnowing-fan is in his hand to clear his threshing-floor and to gather the wheat into his barn; but the chaff he will burn in a fire that will never go out.’ As well as this, there were many other things he said to exhort the people and to announce the Good News to them. he has driven your enemies away. you have no more evil to fear. do not let your hands fall limp. as on a day of festival. 535 Jesus’ public life begins with his baptism by John in the Jordan.John preaches “a baptism of repentance for the forgiveness of sins”. A crowd of sinners – tax collectors and soldiers, Pharisees and Sadducees, and prostitutes- come to be baptized by him. “Then Jesus appears.” The Baptist hesitates, but Jesus insists and receives baptism. Then the Holy Spirit, in the form of a dove, comes upon Jesus and a voice from heaven proclaims, “This is my beloved Son.” This is the manifestation (“Epiphany”) of Jesus as Messiah of Israel and Son of God. 536 The baptism of Jesus is on his part the acceptance and inauguration of his mission as God’s suffering Servant. He allows himself to be numbered among sinners; he is already “the Lamb of God, who takes away the sin of the world”. Already he is anticipating the “baptism” of his bloody death. Already he is coming to “fulfill all righteousness”, that is, he is submitting himself entirely to his Father’s will: out of love he consents to this baptism of death for the remission of our sins. The Father’s voice responds to the Son’s acceptance, proclaiming his entire delight in his Son. 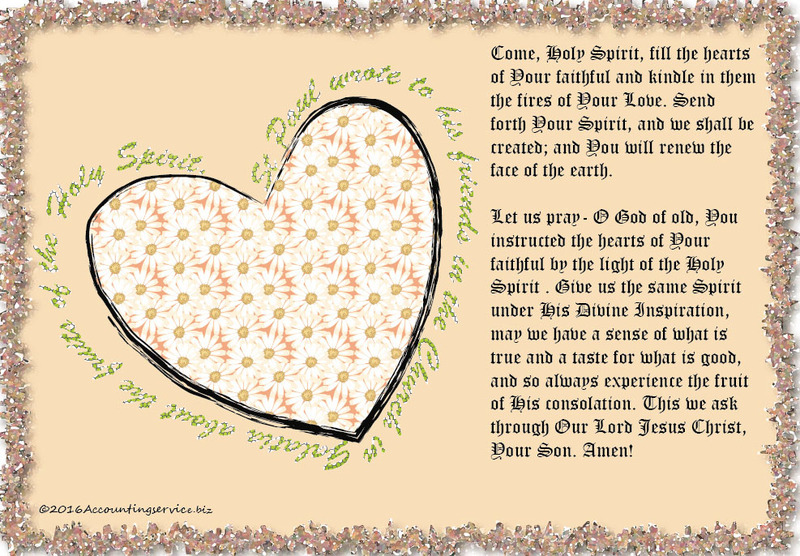 The Spirit whom Jesus possessed in fullness from his conception comes to “rest on him”. Jesus will be the source of the Spirit for all mankind. At his baptism “the heavens were opened” – the heavens that Adam’s sin had closed – and the waters were sanctified by the descent of Jesus and the Spirit, a prelude to the new creation. Let us be buried with Christ by Baptism to rise with him; let us go down with him to be raised with him; and let us rise with him to be glorified with him. Everything that happened to Christ lets us know that, after the bath of water, the Holy Spirit swoops down upon us from high heaven and that, adopted by the Father’s voice, we become sons of God. On that day, you will say: I give you thanks, O LORD; though you have been angry with me, your anger has abated, and you have consoled me. God indeed is my savior; I am confident and unafraid. My strength and my courage is the LORD, and he has been my savior. and say on that day: Give thanks to the LORD, acclaim his name; among the nations make known his deeds, proclaim how exalted is his name. Sing praise to the LORD for his glorious achievement; let this be known throughout all the earth. Shout with exultation, O city of Zion, for great in your midst is the Holy One of Israel! and rough roads made smooth. like royal princes carried back in glory. A song of ascents. Like Mount Zion are they who trust in the LORD, unshakable, forever enduring. As mountains surround Jerusalem, the LORD surrounds his people both now and forever. The scepter of the wicked will not prevail in the land given to the just, Lest the just themselves turn their hands to evil. Do good, LORD, to the good, to those who are upright of heart. But those who turn aside to crooked ways may the LORD send down with the wicked. Peace upon Israel! How I wish it were blazing already! Jesus said to his disciples: ‘I have come to bring fire to the earth, and how I wish it were blazing already! There is a baptism I must still receive, and how great is my distress till it is over! Out of his infinite glory, may he give you the power through his Spirit for your hidden self to grow strong, so that Christ may live in your hearts through faith, and then, planted in love and built on love, you will with all the saints have strength to grasp the breadth and the length, the height and the depth; until, knowing the love of Christ, which is beyond all knowledge, you are filled with the utter fullness of God. Glory be to him whose power, working in us, can do infinitely more than we can ask or imagine; glory be to him from generation to generation in the Church and in Christ Jesus for ever and ever. Amen. 535 Jesus’ public life begins with his baptism by John in the Jordan. John preaches “a baptism of repentance for the forgiveness of sins”. A crowd of sinners – tax collectors and soldiers, Pharisees and Sadducees, and prostitutes- come to be baptized by him. “Then Jesus appears.” The Baptist hesitates, but Jesus insists and receives baptism. Then the Holy Spirit, in the form of a dove, comes upon Jesus and a voice from heaven proclaims, “This is my beloved Son.” This is the manifestation (“Epiphany”) of Jesus as Messiah of Israel and Son of God. 536 The baptism of Jesus is on his part the acceptance and inauguration of his mission as God’s suffering Servant. He allows himself to be numbered among sinners; he is already “the Lamb of God, who takes away the sin of the world”. Already he is anticipating the “baptism” of his bloody death.233 Already he is coming to “fulfill all righteousness”, that is, he is submitting himself entirely to his Father’s will: out of love he consents to this baptism of death for the remission of our sins. The Father’s voice responds to the Son’s acceptance, proclaiming his entire delight in his Son. The Spirit whom Jesus possessed in fullness from his conception comes to “rest on him”. Jesus will be the source of the Spirit for all mankind. At his baptism “the heavens were opened” – the heavens that Adam’s sin had closed – and the waters were sanctified by the descent of Jesus and the Spirit, a prelude to the new creation. for praise is fitting for loyal hearts. with a ten-stringed lute sing him songs. the plans of his heart from age to age. 2804 The first series of petitions carries us toward him, for his own sake: thy name, thy kingdom, thy will! It is characteristic of love to think first of the one whom we love. In none of the three petitions do we mention ourselves; the burning desire, even anguish, of the beloved Son for his Father’s glory seizes us: “hallowed be thy name, thy kingdom come, thy will be done. . . . ” These three supplications were already answered in the saving sacrifice of Christ, but they are henceforth directed in hope toward their final fulfillment, for God is not yet all in all. 2805 The second series of petitions unfolds with the same movement as certain Eucharistic epicleses: as an offering up of our expectations, that draws down upon itself the eyes of the Father of mercies. They go up from us and concern us from this very moment, in our present world: “give us . . . forgive us . . . lead us not . . . deliver us. . . . ” The fourth and fifth petitions concern our life as such – to be fed and to be healed of sin; the last two concern our battle for the victory of life – that battle of prayer. 2806 By the three first petitions, we are strengthened in faith, filled with hope, and set aflame by charity. Being creatures and still sinners, we have to petition for us, for that “us” bound by the world and history, which we offer to the boundless love of God. For through the name of his Christ and the reign of his Holy Spirit, our Father accomplishes his plan of salvation, for us and for the whole world. Happy those who do not follow the counsel of the wicked, Nor go the way of sinners, nor sit in company with scoffers. Rather, the law of the LORD is their joy; God’s law they study day and night. They are like a tree planted near streams of water, that yields its fruit in season; Its leaves never wither; whatever they do prospers. But not the wicked! They are like chaff driven by the wind. Therefore the wicked will not survive judgment, nor will sinners in the assembly of the just. The LORD watches over the way of the just, but the way of the wicked leads to ruin.